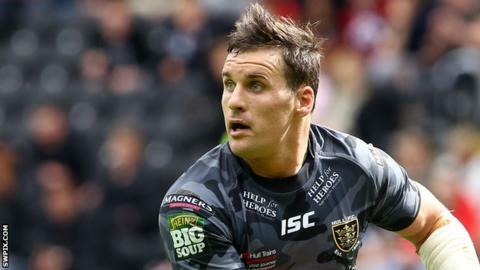 Australian half-back Brett Seymour is free to make his Whitehaven debut against North Wales Crusaders on Sunday after he received clearance to play. Seymour, who was released by Super League side Castleford after a trial spell, signed a one-year deal. Haven are currently 10th in the division after seven games. Since making his first grade debut in the Australian NRL with Cronulla Sharks, Seymour has spent time at New Zealand Warriors and Hull FC. Cas boss Daryl Powell then gave him a trial deal but agreed to let him go after he failed to dislodge half-back rivals Marc Sneyd, Liam Finn and Jamie Ellis from the first-choice squad.